As one of the only not-for-profit schools in the Bangkok international school community, NIST is overseen by the parent-elected NIST International School Foundation, which appoints an Executive School Board to oversee the school on its behalf. The majority of the members of the foundation must be parents or guardians of children who attend NIST, and thus represent the interests of the entire community through their governance. - M.SC. in Civil Engineering, University of Southern California, U.S.A.
- M.A. Finance with Distinction, University of Exeter, U.K.
- Senior Vice President – IDS Medical Systems (Thailand) Co., Ltd.
- Architectural Design Director, Thanaland Co. Ltd.
- M.A. History, Ohio State University, U.S.A.
- M.A. Slavic and East European Studies, Ohio State University, U.S.A.
- B.A. 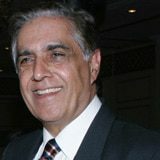 International Relations and German, College of William and Mary, U.S.A.
- Master of Arts, Oregon State University, Corvallis, Oregon, U.S.A.
- Bachelor of Science, St. John Fisher College, Rochester, New York, U.S.A.
- Managing Director, Lamsam Estate Co., Ltd.
- Chairman, SF Corporation PCL. - Director, Muang Thai Insurance PCL. 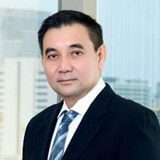 - Vice Chairman, Muang Thai Group Holding Co., Ltd.
- Vice Chairman, Pruksa Clinic Holding Co., Ltd.
- Vice Chairman, Muang Thai Life Assurance PCL. - Bachelor of Science in Business Administration, University of Southern California, U.S.A.
- Managing Director and Owner, Kokar Co Ltd.
- B.S. Civil/Environmental Engineering, Duke University, U.S.A.
- M.S. 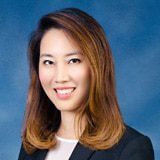 Environmental Engineering, Rice University, U.S.A.
- M.B.A. University of California Berkeley, U.S.A.
- Finance Manager, Chevron Thailand Exploration & Production Ltd.
- Group CEO, Boutique Asset Management Ltd.
- LL.M., University of Pennsylvania Law School, Philadelphia, Pennsylvania, U.S.A.
- M.CL., Indiana University School of Law, Bloomington, Indiana, U.S.A.
- Lawyer, Linklaters (Thailand) Ltd.
- Vice President, Gulf Energy Development Co., Ltd.
- B.A. Computer Science, Boston University, MA, U.S.A.
- LL.M., Bristol University, U.K.
- Lawyer and Partner, Weerawong, Chinnavat & Peangpanor Ltd.